Have You Been Charged With Assault Or Menacing In New York? Nassau County Takes Assault and Menacing Offences Seriously! FIGHT YOUR ASSAULT OR MENACING CHARGE WITH AN EXPERIENCED NASSAU COUNTY CRIMINAL DEFENSE LAWYER! DO NOT PLEAD GUILTY TO AN ASSAULT OR MENACING OFFENSE IN NEW YORK! New York is notoriously tough on crime; assault and menacing offenses are no exception. In fact, the majority of these types of crimes are considered felonies in New York State. If you are charged with an assault or menacing offense, you need to contact an experienced criminal defense lawyer immediately. Pleading guilty to one of these offenses has serious, lifelong consequences that can devastate you and your family. Below, The Law Offices of Michael H. Ricca, P.C. explain several of New York’s assault and menacing laws, as well as the potential consequences you may face if convicted of these crimes. If you have been charged with an assault or menacing offense, contact The Law Offices of Michael H. Ricca, P.C. today for the best legal representation in Nassau County.  Assault and menacing charges fall under New York State Penal Law, Article 120. These charges, which range from misdemeanor to felony classifications, can have serious repercussions. One thing you should note is the level of intent behind each law, as well as the seriousness of the injury. Injuring or attempting to injure certain categories of individuals is also a factor. Furthermore, if you are intentionally attempting to injure an individual and end up hurting someone else, you can still be charged with any of the below crimes. Assault in the Third Degree is the least serious type of assault crime you can be charged with. In order to be guilty of violating Penal Law 120.00, you must be convicted of causing physical injury to another individual through intentional or reckless behavior. If you are criminally negligent with a deadly weapon or dangerous instrument and it causes physical injuries to another individual, you can also be charged with this offense. Examples of Assault in the Third Degree include leaving a gun chest unlocked and coming home to find your child has shot themselves or punching a stranger in a bar. Assault in the Third Degree is a Class A misdemeanor in New York State. Like Assault in the Third Degree, this charge stems from intentional or reckless behavior that results in the physical injury of another person. However, it includes one of four main factors that make it more serious. These factors are as follows. The victim if under 11 years old or older than 65. Examples of Assault in the Second Degree include grazing an individual’s shoulder in an attempt to shoot them, punching a law enforcement official while trying to resist arrest, or repeatedly kicking a child under the age of 11 until their ribs break. In New York State, Assault in the Second Degree is considered a Class D felony. A deadly weapon or dangerous instrument was intentionally used to cause serious physical injuries to another person. The physical injury occurs while committing a felony or fleeing from the crime. Examples of Assault in the First Degree include shooting an individual intentionally in the face, driving your vehicle directly into a crowd, and stabbing an individual in order to steal their car while fleeing a crime. A violation of Penal Law 120.10 is a Class B felony in New York. Menacing in the First Degree is the most serious of the possible menacing offenses you can be charged with. You can be charged with this crime if you have been charged with a Second Degree offense and have previously been convicted of Menacing in the Second Degree (120.14) or Menacing a Police or Peace Officer (120.18) within the past 10 years. In New York, Menacing in the First Degree is a Class E felony. Violates a protective or court order through actions that otherwise would be classified as Menacing in the Third Degree. Examples of this crime include threatening to harm an individual while flashing them your gun, or threatening a person despite a protective order barring you from contacting them. Menacing in the Second Degree in New York State is a Class A misdemeanor. Menacing in the Third Degree is the simplest menacing offense you can be charged with. To be convicted of this crime, you need to be found guilty of intentionally placing or attempting to place an individual in fear of imminent physical injury or death. Threatening to kill someone is an example of Menacing in the Third Degree. A Menacing in the Third Degree offense is a Class B misdemeanor in New York. As you can see above, many assault and menacing charges are considered felonies in New York. While some are misdemeanors, all can result in incarceration, fines, surcharges, probation, and more. Misdemeanors and felonies in New York State both carry the potential for jail time. They are also both broken into sub-classifications depending on the level of seriousness. Misdemeanors are less serious than felonies, but they are still crimes. Misdemeanors are those crime that may result in jail sentences that range between 16 days and 1 year. Felonies, on the other hand, are those crimes that may result in jail sentences that are over 1 year. Violations, which are yet another type of crime, are those that may result in up to 15 days in jail. While none of the assault or menacing offenses discussed above are violations, it is important to note that New York is tough on minor crimes as well. In the table below, we look at the various penalties you may face if convicted of each of the assault and menacing offenses discussed in the previous section. 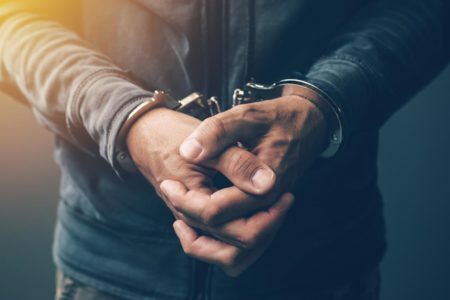 In addition to the potential incarceration and fines, surcharges, victim’s assistance fees, restitution, and probation may also be assessed if you are convicted of an assault or menacing offense. Beyond the above legal penalties, the consequences of an assault or menacing charge can be lifelong. A conviction of any assault or menacing charge listed above will result in a criminal record. This can affect your employment opportunities, loan potential, college applications, housing approvals, and other such opportunities. It can also significantly affect relationships, including those with loved ones. In New York, felony convictions can further restrict rights you may take for granted.  Gun ownership rights, voting privileges, and government employment will all be taken away if you are convicted of a felony in New York. Family rights can also be restricted. For example, the State may seek to terminate your parental rights or the right to adopt a child in the future. A felony that results in more than 3 years in jail is also grounds for an at-fault divorce in New York. Assault and menacing charges can be extremely intimidating and hard to cope with. You should never face these types of criminal charges on your own. While you may be able to obtain a public defender to help you fight these charges, it is much better to hire your own counsel. This is because many of the public defenders today are overburdened by extremely full caseloads, leaving them unable to dedicate the time and attention each individual case deserves. With reputable private counsel, like that from The Law Office of Michael H. Ricca, P.C., you can rest assured that a competent, dedicated criminal defense attorney represents you. Experience plays a major role in how a defense lawyer represents you. From knowing how to evaluate the circumstances and evidence against you to understanding the intricacies of a trial, experience plays a key role in the handling of your case and how well you are represented throughout the entire process. If you are convicted or have lost rights due to a conviction, we can also help you navigate the arduous legal process to regain these rights based on your particular circumstances. The Law Offices of Michael H. Ricca, P.C. is here to help you and your loved ones through this trying time. We are passionate about the cases we take on and strive for the best possible outcome for each of our clients. Tenacious and well regarded within the legal community, Michael H. Ricca and his staff will fight for you. After all, we fully understand the consequences of a guilty plea or conviction and want our clients to have the best opportunity to avoid both. Having a reputable and knowledgeable lawyer can help you fight a criminal conviction or work a favorable plea deal with the prosecution. While it is unwise of any lawyer to promise a specific outcome, The Law Offices of Michael H. Ricca, P.C. will work tirelessly to help you receive the most favorable outcome possible based on your specific case. If you or a loved one has been charged with an assault or menacing offense, it is essential that you contact our offices before pleading guilty to criminal charges. Call (516) 500-1647 or submit a contact form for your free consultation with The Law Offices of Michael H. Ricca, P.C. today.